Here it is! The moment of truth! As co-host Jess temporarily departs to pop out a baby, The Book Was Better podcast enters a brand new phase with a series of wonderful guest hosts! 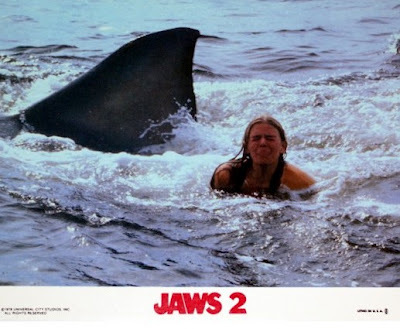 In this first new episode I am joined by film buff, radio host and fellow podcaster Tristan Fidler as we tackle the ridiculously over-the-top novelization of Jaws 2! 95% different from the film, this rough diamond adds casual racism, misogyny, the US Navy, forensics, a seal, a porpoise, and the goddamn mafia! This is one not to miss! You can download it right now at the official site, or why not subscribe to us on iTunes so we can pump more forgotten books into your eager head every single damn week!